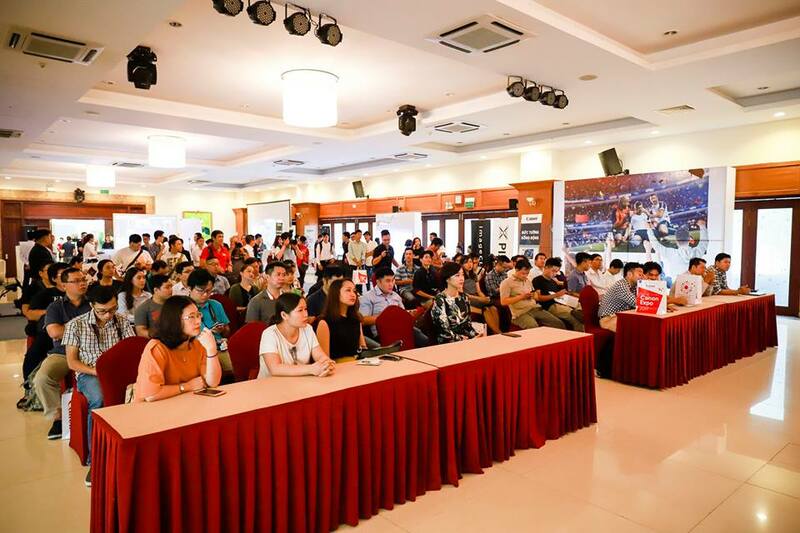 Ho Chi Minh City, 15th Jun 2018 - Canon today announced their entry into Vietnam’s exciting projector market at an event entitled the ‘Big Screen Era’ in Ho Chi Minh City’s District 3 held on the 15 and 16 June where customers will have the chance to experience the company’s advanced projection technology for home and business. 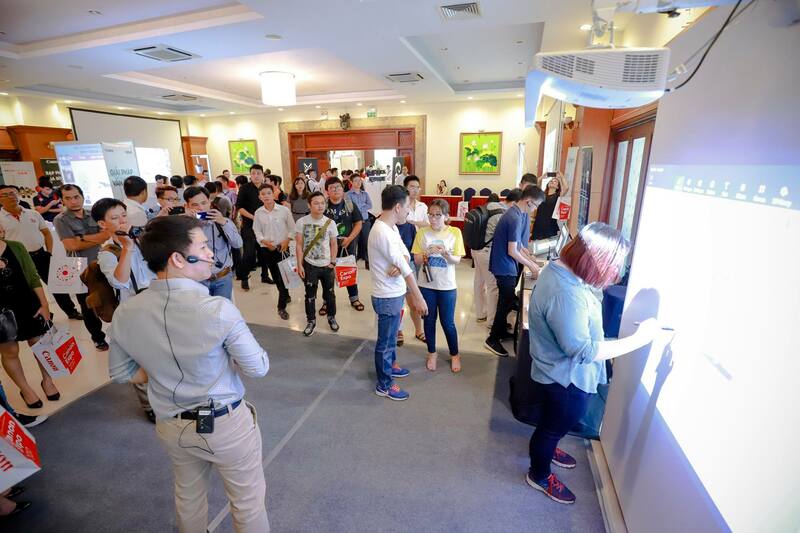 The event, held at the Conference Center at 272 Vo Thi Sau Street, marks the company’s 16th year in Vietnam, and sees the projector range inherit Canon’s legacy of imaging excellence here. Canon, which already markets a range of products including cameras, printers and photocopiers in Vietnam, bring world leading technology such as Ultra Short Throw, advanced LCOS display screen, lens replacements that suit varying presentation purposes, and simple installation and maintenance thanks to Canon’s modular design. The Interactive Table will give visitors a unique experience with the interaction- integrated projector model. Guests can use their hands to paint on the projector’s screen, play games by tapping or taking notes directly on the lecture when needed, etc. The Business Solutions area will replicate a meeting room with full range of printing equipment, security cameras and projectors. Logitech will also be participating in this zone, offering online video calling solutions. The Family Movie Theater area brings the glamorous images from the blockbusters or the energetic atmosphere of fiery football matches. This area will be a huge draw to guests ahead of the 2018 World Cup. 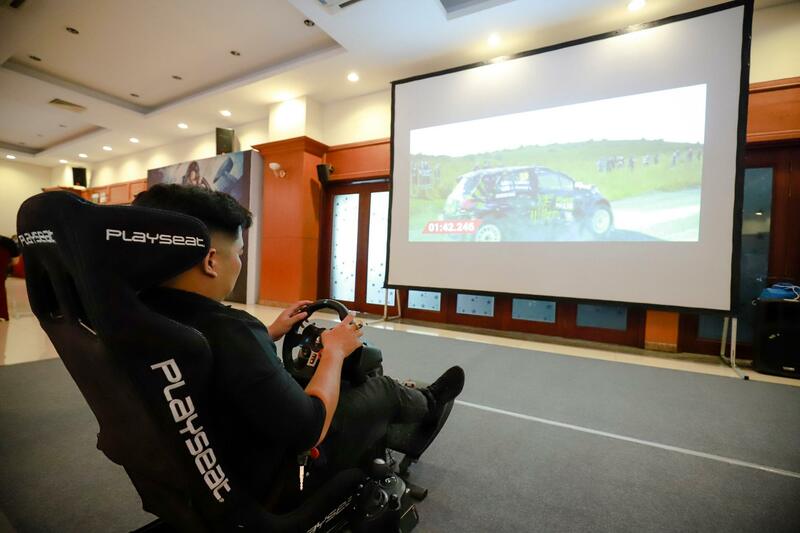 Coming to The Mobile Game Zone, visitors who love mobile games will be immersed in PUBG and Alliance - the two “hottest” games in Vietnam - on a 200-inch screen. The Game Console takes visitors to a dusty race track in the Dirt 4 racing game and thrilling football game in PES 2018’s virtual stadium. 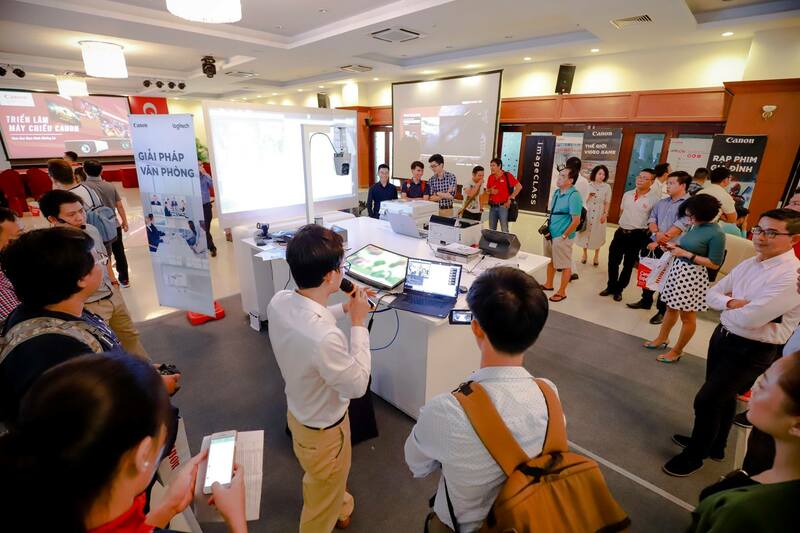 In addition to the large-screen gaming experience using Canon projectors, visitors also have the opportunity to receive gifts if they win the challenges. The Creative Painting Wall will guide visitors to the basic drawing steps on the interactive screen and incorporate the Wacom’s drawing board. Also, upon arrival in this area, visitors will be drawn and printed an extremely adorable Chibi portrait. Guests to the “Big Screen Era” event will have the opportunity to enjoy 30% discounts on Canon projectors along with attractive gifts like the FPT Playbox 4K including a wide range of action movies and a subscription to the 2018 English Premier League season. In addition to this, the exhibition will feature open exchanges and presentations, including a session on ”How to choose the perfect projector for movie and World Cup” led by professional photographer Mr. Nhut Hung. There will also be gifts and promotions for customers who order during the event.